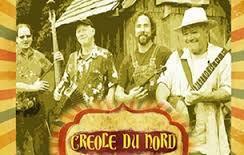 Rackham Stage opens with foot-tapping, high-energy Louisiana dance music from Manchester, Michigan’s Creole du Nord. Bandleader Mark Palms is “on a mission to find Cajun tunes, waltzes, and old time fiddle music that lifts the spirit.” Enjoy their fast-paced arrangements of accordion, fiddle, banjo, electric guitar, bass, and percussion that celebrate Creole, Zydeco, and Americana traditions. Another evening of happy music!